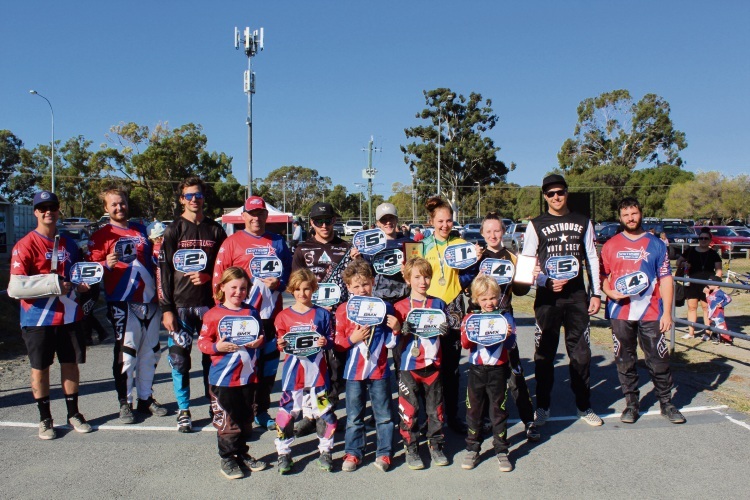 Southside BMX Club riders earned 16 Australia plates during the recent National Championships in Bunbury. SOUTHSIDE BMX CLUB riders will represent Australia on the world stage following a strong showing at the recent National Championships. The nationals were held in Bunbury over three days, with more than 2000 riders from across Australia pouring in to compete. Southside riders earned 16 Australia plates, which are given to riders ranked first to eighth in the country. Highly ranked riders in each age group are eligible to race at the BMX World Championships in Baku, Azerbaijan in June. Bianca Campbell, Jayden Keogh, Jett Smith, Scott Gaskin, Murray Nottage and Cam Ainger are confirmed Southside competitors making the trip. The club will hold a fundraiser on May 5 to raise money for the riders.